Home News Neil flies 450 km to Moodie Swamp; Robbie at Tootgarook?! 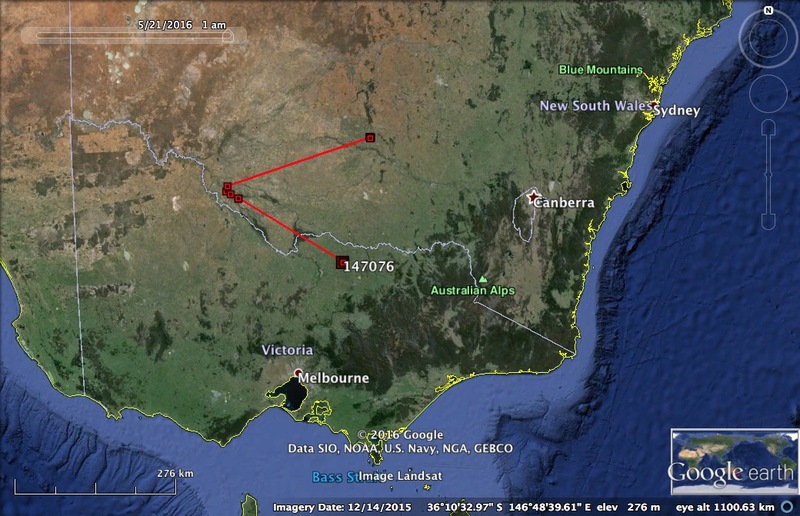 Neil flies 450 km to Moodie Swamp; Robbie at Tootgarook?! 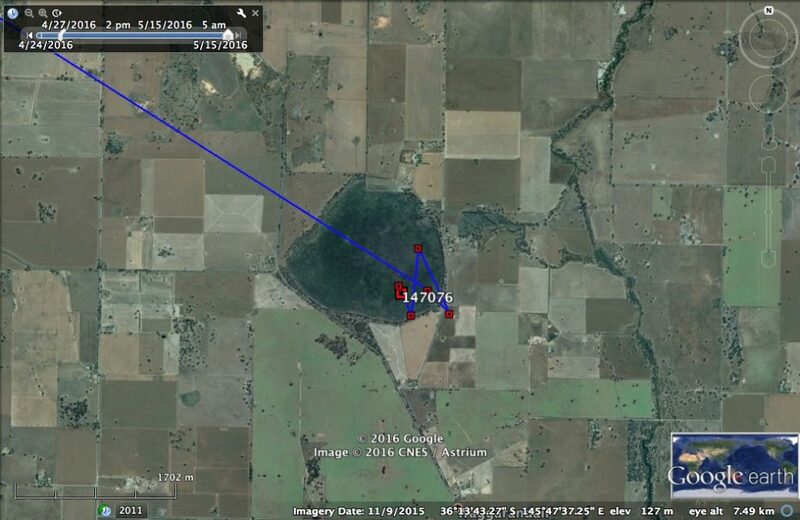 As if Neil’s spectacular 450 km dispersal wasn’t enough, photos taken just yesterday have us wondering which of our other bitterns is down near Melbourne. But first, Neil. He left his rice crop at Murrami and flew to Moodie Swamp, a top notch Canegrass wetland between Benalla and Yarrawonga in northern Victoria. 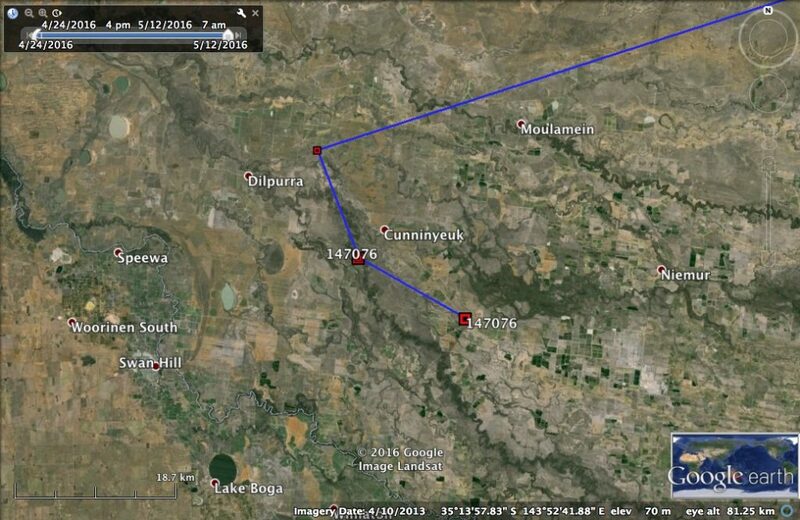 It was a u-turn of sorts, taking him via the Wakool River between Moulamein and Swan Hill. Initially we thought he might be heading toward the same area that Robbie dispersed to last season, but instead he made two of his own new connections for us. 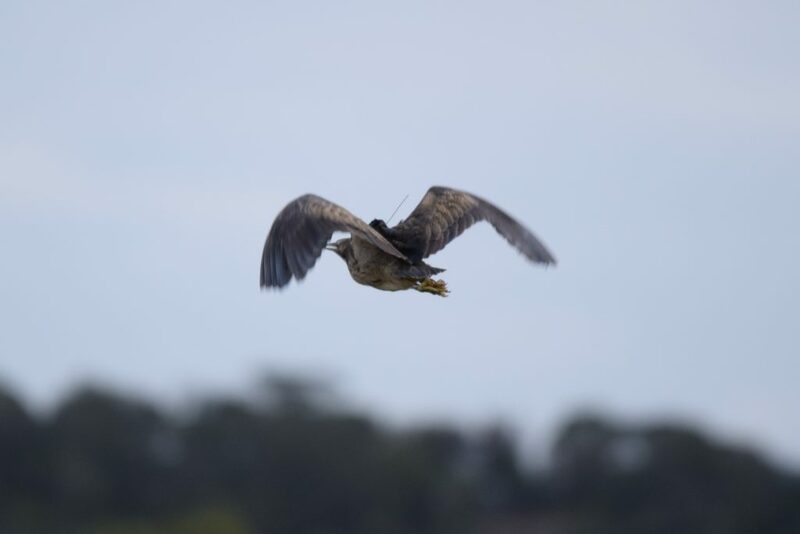 We now formally know that the wetlands of northern Victoria and Canegrass wetlands are part of the network that sustains the world’s largest known Australasian Bittern breeding population. To think he was in our arms at Murrami just 20 days earlier was amazing. Moodie Swamp had recently received environmental water and is well known for its significance to wildlife, not least as a regular Australasian Bittern site. While studying Brolgas 16 years ago, I had the pleasure of finding bitterns there and meeting May Moodie. She was a great custodian for this great swamp. 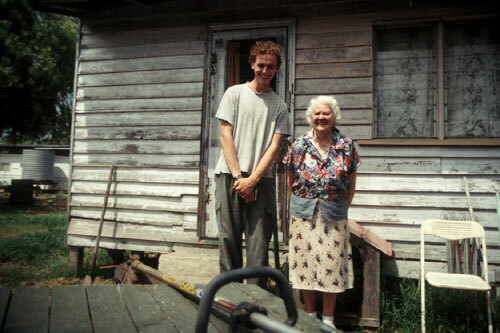 May Moodie and I beside Moodie Swamp in 2000. Moodie Swamp: Neil is out there somewhere. Photo by Tim Barlow. And for those of you who may have missed it, here’s the video of Neil’s release at Murrami, just a month ago. Now, back to Melbourne. One of our bitterns was photographed at the Tootgarook Swamp yesterday afternoon. That’s down around Port Phillip Bay. We know it’s not Neil. We’re trying to work out who it is. Could it be ROBBIE?! Stay tuned. Massive thanks to Cam Brown and Jess Durrant who found this bittern. They both contributed to the crowdfunding and joked that one of the tracked bitterns might rock up there. It’s a fitting reward for them and the swamp they love so much. 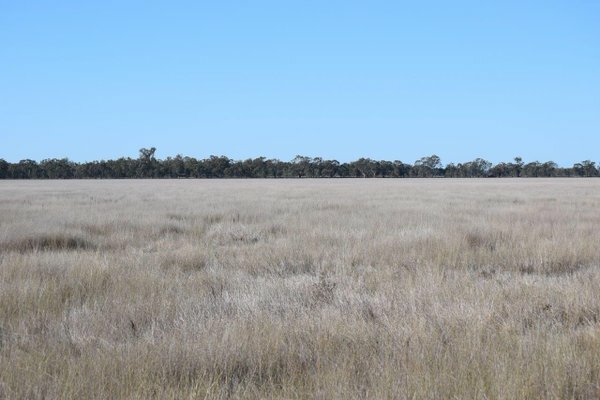 Irrespective of the identity, the link between this most significant wetland near Melbourne and the rice crops of the New South Wales Riverina has been cemented. Is this Robbie at Tootgarook Swamp down near Melbourne? If not, who is it? Vin? Coly-Lion? Another? Photo by Cam Brown.